Checkout this 1987 Suzuki Samurai here on eBay bidding for $6,300 reserve-not-met with auction ending Wednesday at 6:34PM PST. 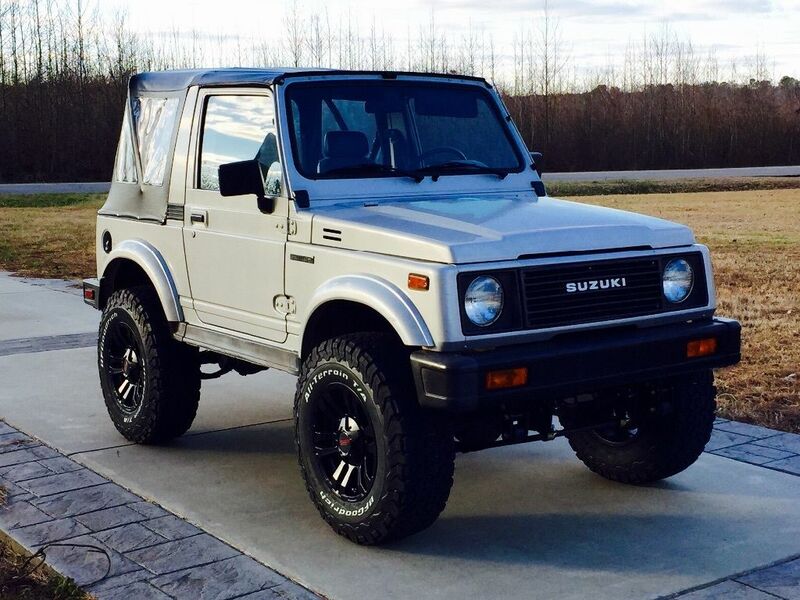 For sale is a 1987 Suzuki Samurai with 47k miles. 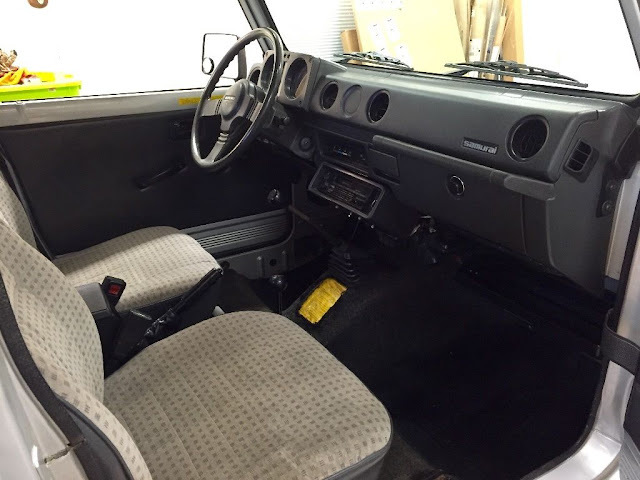 The samurai has its original silver paint with original grey interior. A rear NOS seat was added by the original owner because it did not originally come with one. It does have a new soft top but came with the original when I purchased it. I also have a black bikini top as well. I added the 4" BDS Premium lift kit which included all 4 leaf springs, bushings as well as premium shocks. The vehicle also has new Bfgoodrich KO2's, 265/70/16 with new 16x8" wheels. The Samurai drives and tracks perfect and speedometer is dead on. This truly a real cream puff that has never been wheeled or off-roadbed or seen mud at all. There is ZERO rust on this vehicle. It starts, runs and drives perfect. 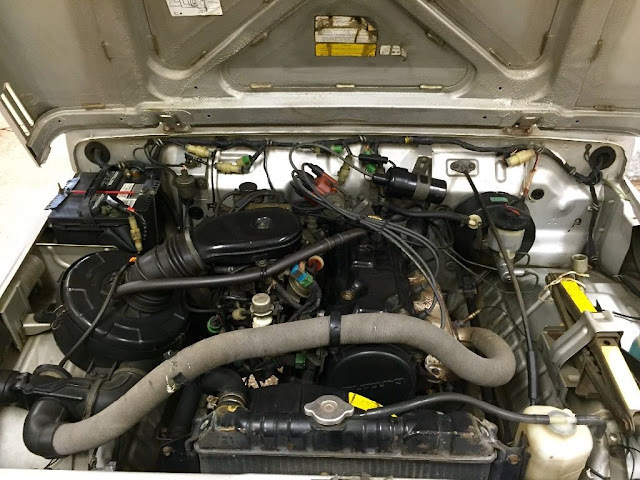 I also have a complete and detailed list of any and all maintenance that was performed by the original owner. I also have the original white wagon wheels which new radials installed which can be included. Please ask any questions you may have. I also reserve the right to end the auction at anytime because it is for sale locally. 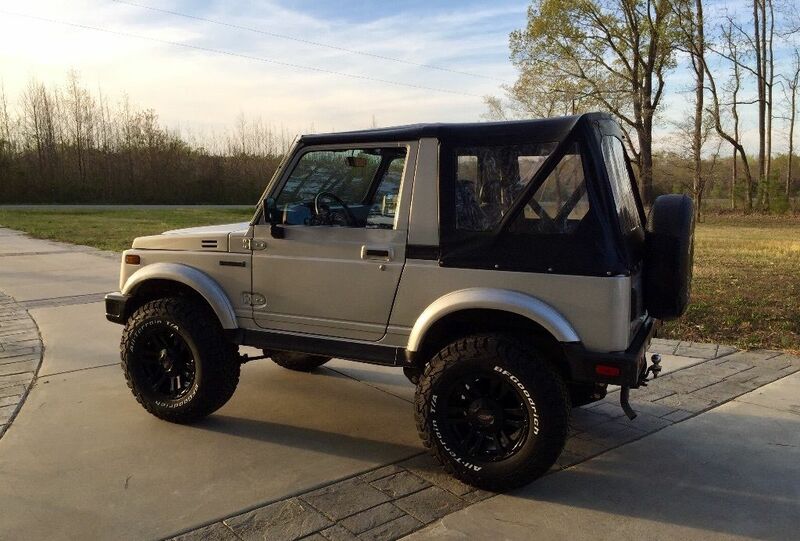 Why would someone buy a samurai and not go offroad? And then put a lift kit and bigger wheel tire combo that worth as much as the car and still claim not to go off road????? I got a ride in one of these once, completely whipped on bald tires and i was blown away with the atv trails that thing could take on. Of course it was also at night and we might not have been sober, it was on private land. I know still a terrible idea but at the time it was a blast.